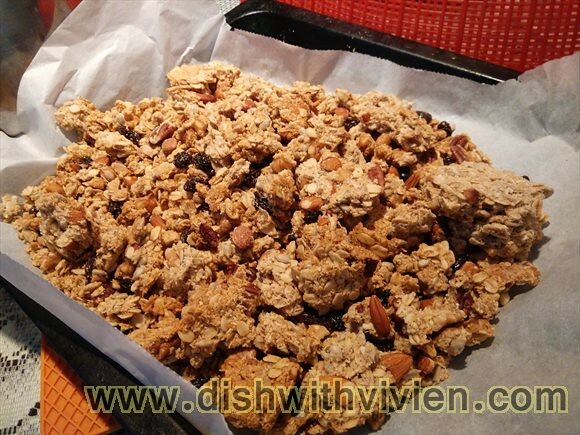 Mix all together and press the whole mixed granola into the pan before putting into oven for baking. 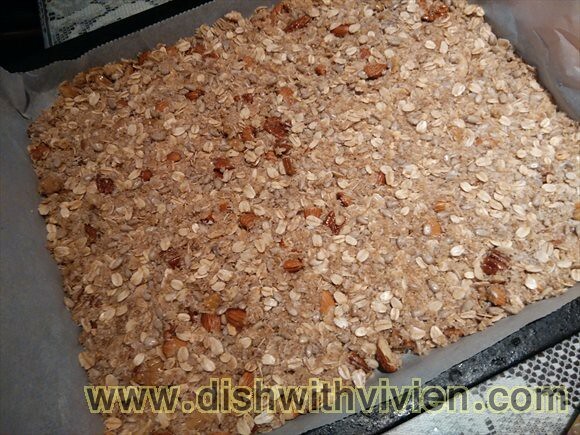 Gently toss the pressed granola without “destroying” too much of the chunks while stirring it mid-way of baking. 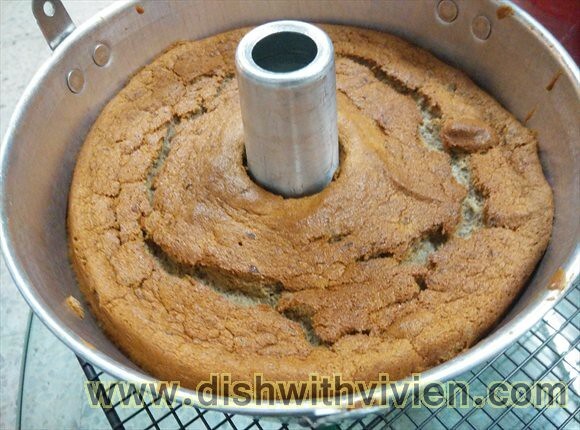 Make sure to use low heat and bake enough till the mixture is dry and crunchy! 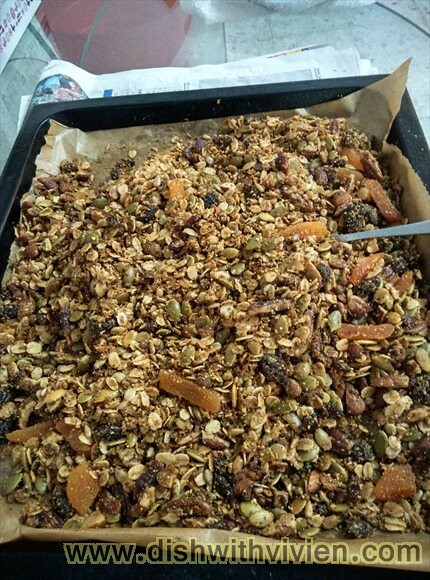 Success, chunky sized granola bites achieved. pandan chiffon, feels slightly too oily, oil left on hand after eating it. 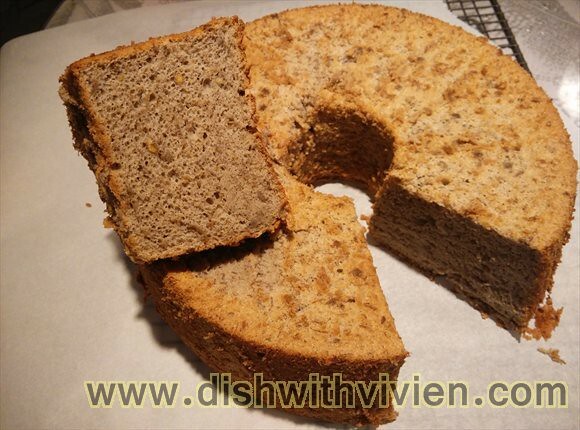 This orange chiffon however is a winner, it is a great recipe, adapted from KitchenTigress. I have proportionate her recipe which is for 8-inch mold to fit my 9-inch mould, i multiply all ingredients by 1.2 times, and also reduced the oil slightly, as the pandan chiffon i made using her recipe turn out a bit oily, which i am not quite sure why (whether the fresh santan i used is too thick, ie too much coconut oil, or because i did not beat the egg-yolk/santan/corn oil mixture till mayonaise-stage), so i am just going to reduce the oil very slightly for this orange chiffon. 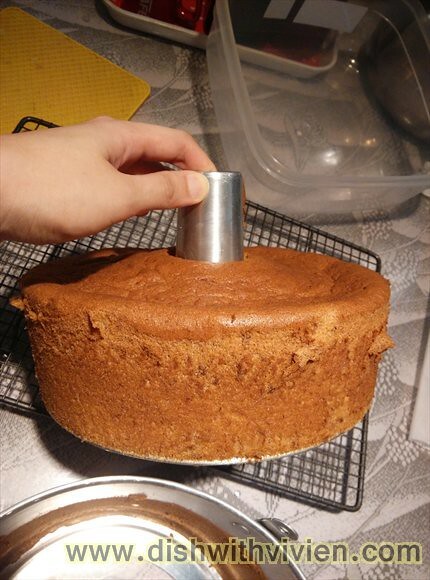 I also reduced the sugar slightly, and the chiffon turn out fine. 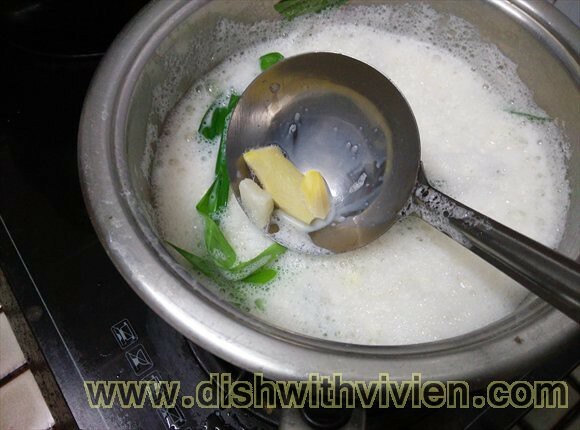 – Beat egg white with cream of tartar till slightly foamy. 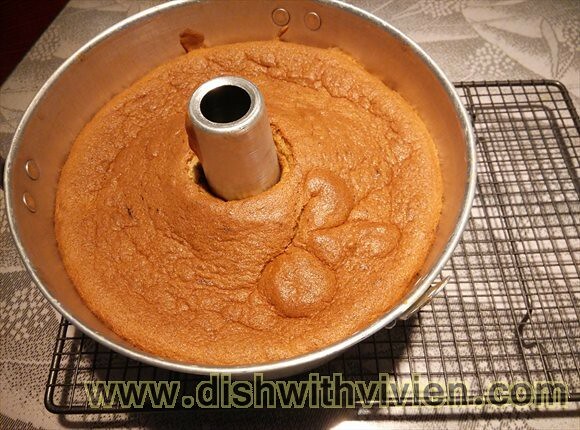 In LOW speed(so that air bubble will be fine and small), add sugar in 3 additions, and beat till the egg white won’t slide from the bowl when overturned. 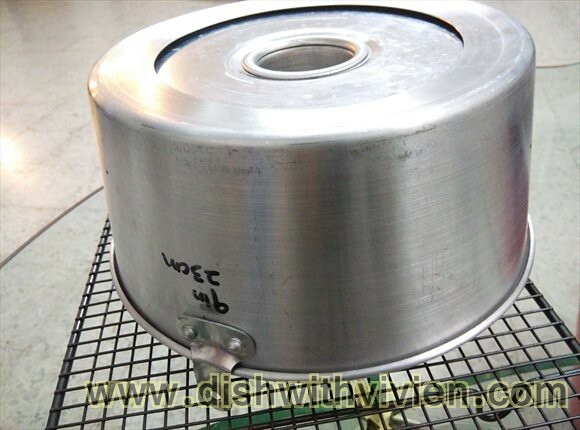 – Fill mould, bang 3 times/use and cake tester to remove air bubble, then level top. 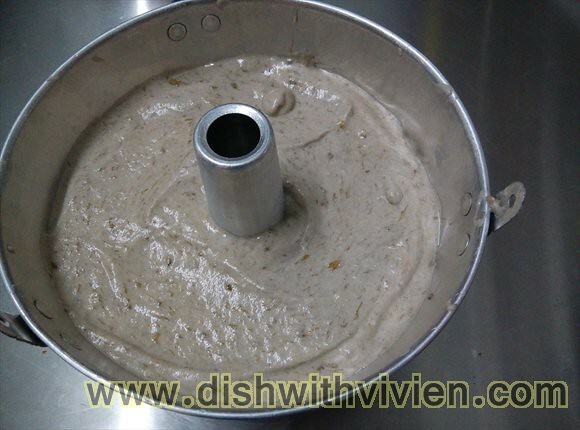 Place all the flour mixture in the mixing bowl. 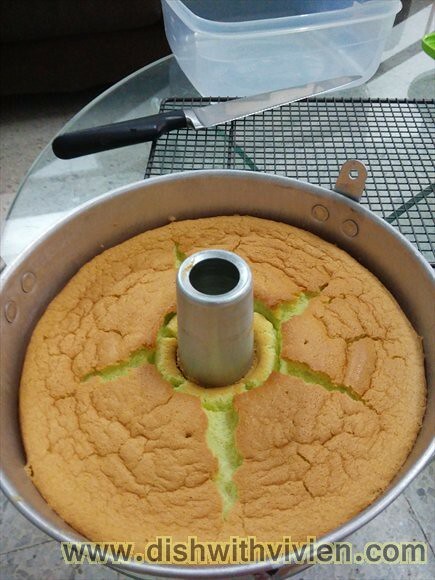 Make a well in the centre. 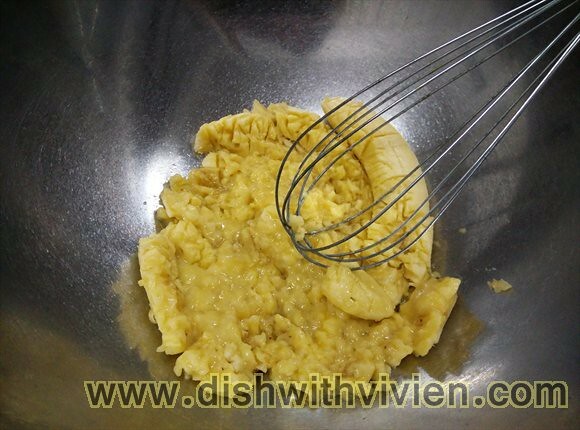 Pour in all the liquid ingredients [egg yolks, melted cheese and milk]. Beat together until well combined and mixture is smooth. Set aside. 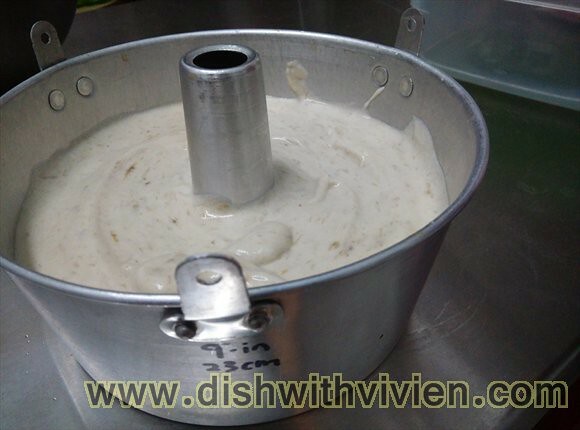 – Whisk egg white + cream of tartar till frothy. Add in caster sugar gradually. 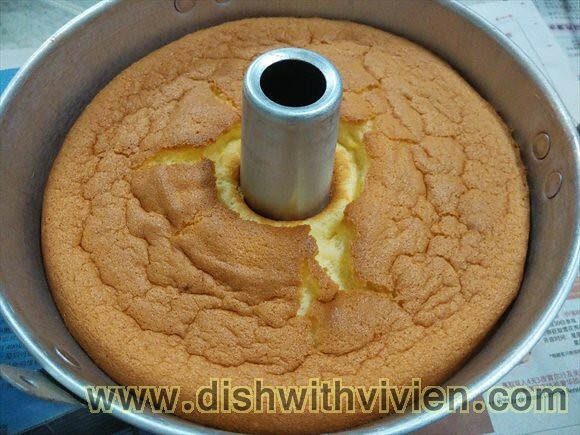 Continue beating all the time until egg white mixture do not slide. 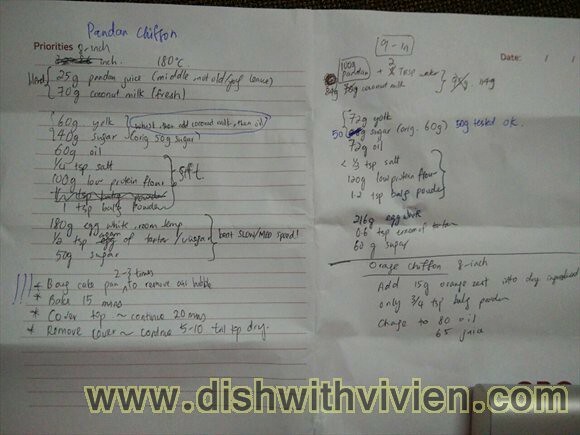 – Fold in egg white mixture in 3 additions. Yum~ best when eating with yogurt, i like mine with Marigold low fat strawberry/peaches, not the fat free ones. 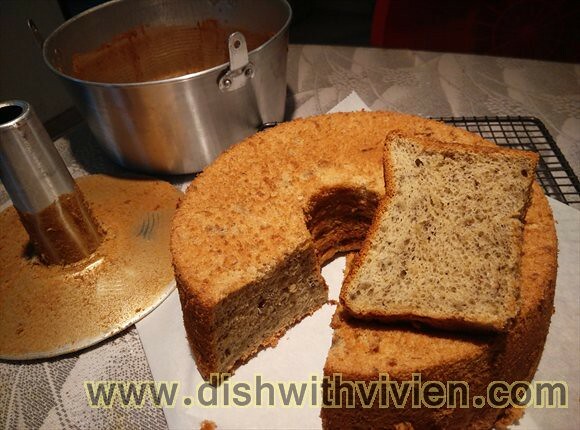 I normally make double portion, above pic is for double portion. 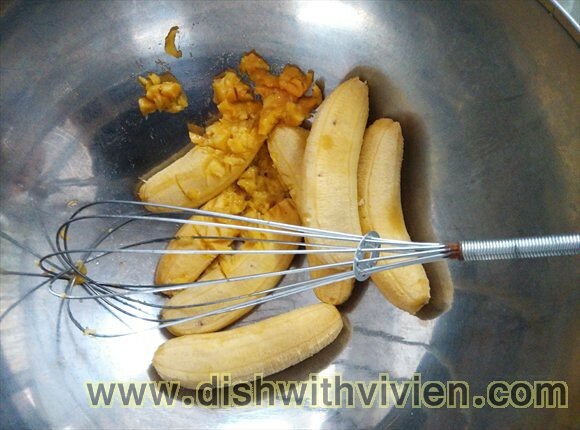 Mix the dry ingredient well and wet ingredient well separately, then combine the two. 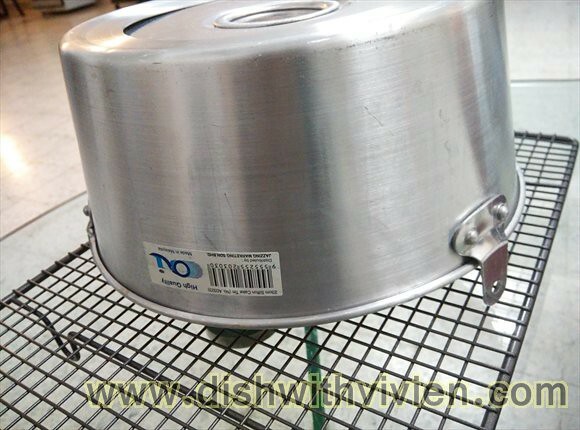 bake in 150 Celcius for 45 minutes, remember to toss the ingredients around every 15 minutes else it will burn on the sides and underneath.